Are There Other Ways to Buy BTC with PayPal? What Way of Bitcoins Buying Should I Choose? Can I Get Bitcoin via PayPal No ID? Can You Fill Your PayPal Account with Bitcoin? Is It OK to Leave My BTC on the Exchange? Is There a PayPal Bitcoin Wallet? If you were wondering on places where buying bitcoin with PayPal is possible and safe, you came to the right place. We at BitcoinBestBuy have created a bitcoin guide on various exchanges that accept PayPal as deposit/payment method, allowing you to buy bitcoin with PayPal. Go to VirWox or choose one of the best bitcoin exchanges that accept PayPal. Sign up and register an account. 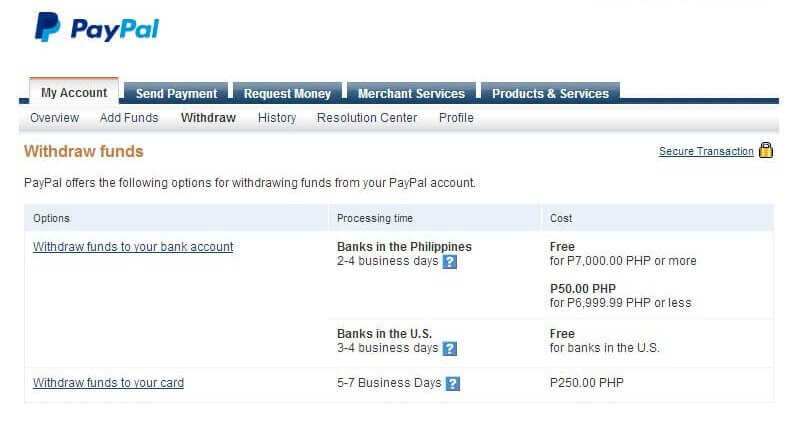 Deposit USD or EUR using PayPal to VirWoX exchange. Purchase “Second Life Lindens” or SLL with your dollars or euros. 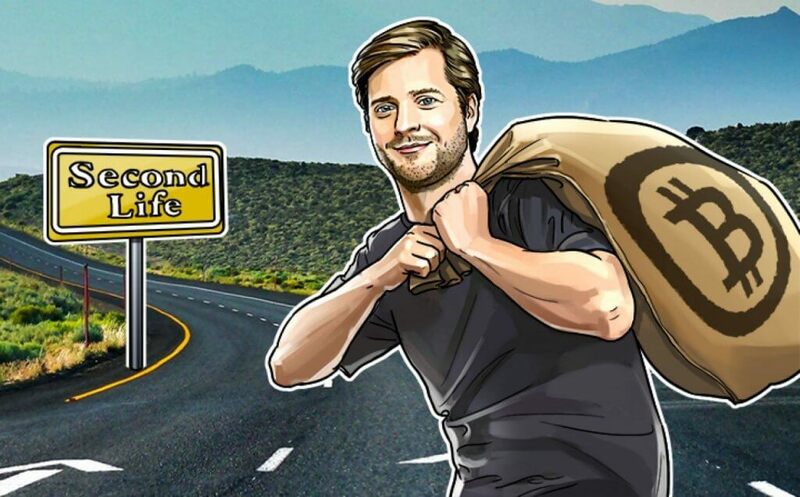 Buy bitcoin with your “Second Life Lindens”. Withdraw the BTC to your own BTC wallet. The best hardware bitcoin wallets are listed here. 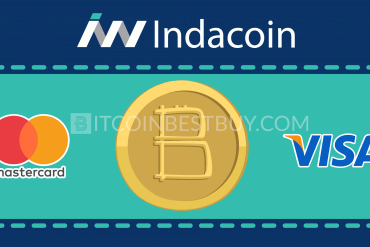 Although PayPal prohibits direct bitcoin purchases, you can deposit your money from PayPal to VirWox, buy Second Life Lindens (SLL) and then sell these for bitcoins. All the associated fees total is 10%. 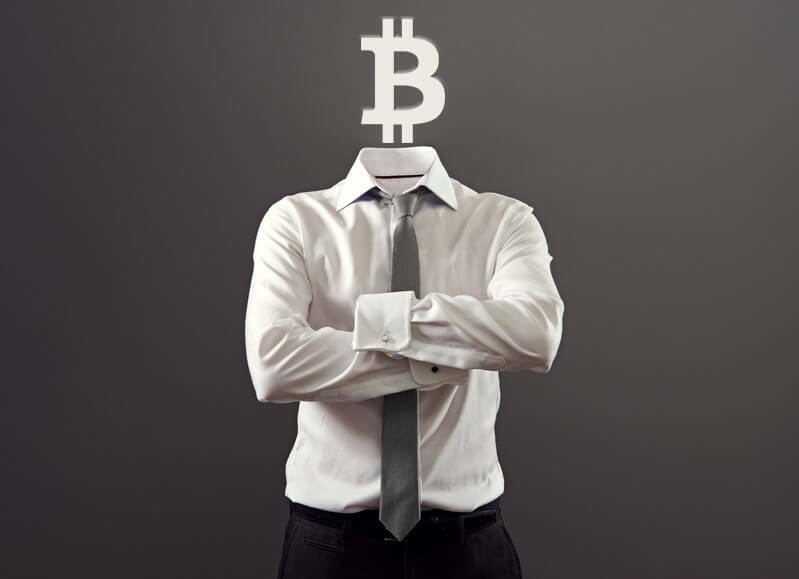 With a growth of popularity, bitcoin has attracted both individuals and businesses alike. Due to a larger number of traders buying and selling BTC, the cryptocurrency gained support globally in terms of larger infrastructure. As the network evolved, so did the payment methods due to the fact that exchanges recognized a need of traders to have a larger choice of how to purchase bitcoins. PayPal was a very limited payment option just a year ago, due to the high fees PayPal charged the brokers. Although very little changed from the fees’ perspective, exchanges recognized the opportunity to reach many other people should they add PayPal as a choice of payment. This article will present you those exchanges that have already implemented PayPal as an option to get bitcoins, listing their pros, cons, purchase limits and fees. 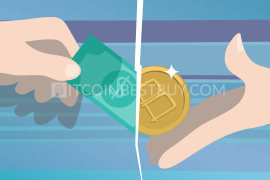 Additionally, this article will provide you with a step-by-step guide on how to purchase BTC from those exchanges instantly and anonymously. 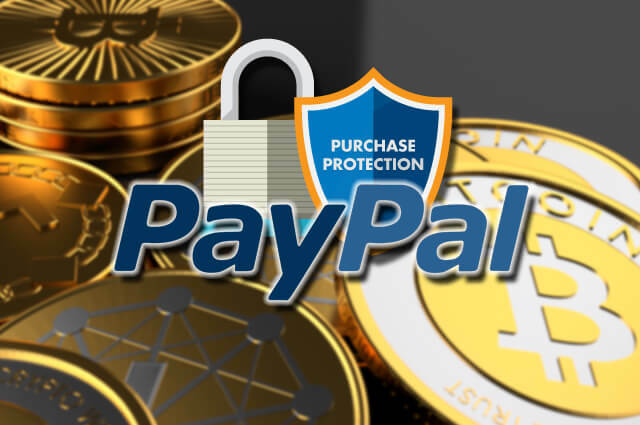 Currently, only 33 countries are PayPal supported by this platform and full verification (ID card, proof of address, email, phone and PayPal account) is needed should you wish to purchase BTC through PayPal. 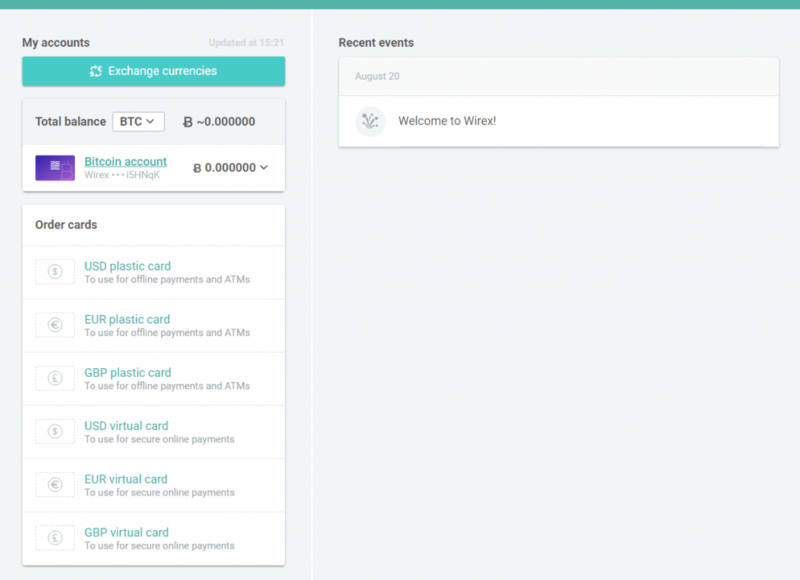 The Wirex charges no fees for this payment option but you will be charged by PayPal, thus keep those costs in mind when purchasing BTCs. for small purchases, verification of email and PayPal account is enough. services available in only 33 countries. VirWox exchange was one of the first places where it was possible to purchase BTC with PayPal. Funnily enough, it does not have bitcoins as a core business but rather concentrates on a currency Second Life Lindens (SLL), used in a virtual world called “Second Life”. What’s more, you cannot directly buy BTC with your money, as you are required to purchase SLLs first and then trade them with BTC, incurring double costs (approx. 10%) during the process. after a month, buying limits would increase greatly. LocalBitcoins, being a P2P platform, offers you a chance to purchase bitcoins directly from other traders. 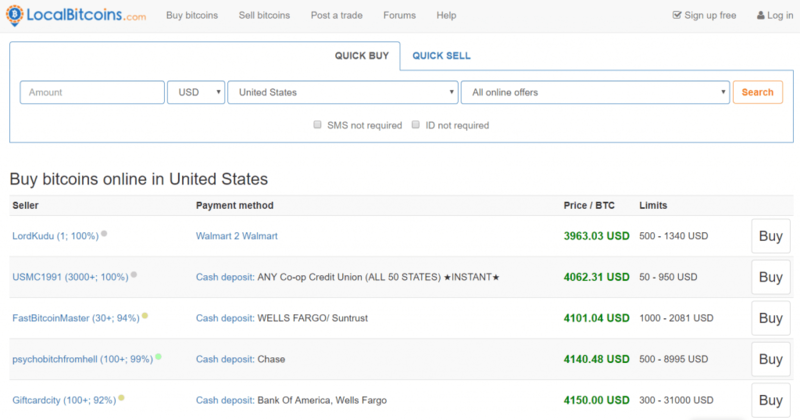 Apart from many other payment options, PayPal is also available for you to use and get BTC. Apart from PayPal fees, LocalBitcoins would charge you 1% transaction fee, while trade limits and verification are up to traders. scams have been reported in the past. Coinbase is one of the most popular choices now when it comes to BTC purchase with PayPal. Exchange’s services are available in the USA, Canada, EU, Singapore and Australia. The PayPal transaction fees stand at 3.99%, with verification levels dictating how much you can purchase from the broker. The PayPal transactions are carried out instantly. low PayPal fees compared to other competitors. for more serious bitcoin quantities, full verification needed. Paxful is a direct competitor of LocalBitcoins with very similar services due to the exchange platform being P2P based that accepts PayPal as a purchase method. The transaction fees stand at 1% for traders that sell cryptocurrency while buyers do not have any sort of costs. Purchase limits depend on individual traders while the supply of bitcoins, although regular, does not come in large quantities. The platform also offers an affiliate program in terms of kiosks that act as certified BTC providers. 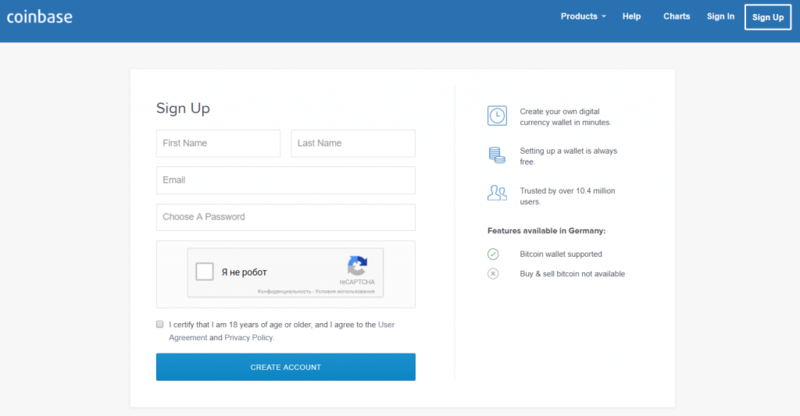 PayPal usage is available for those traders that verify their ID and PayPal account. no fees for traders that purchase bitcoins. A few bitcoins available for purchase. 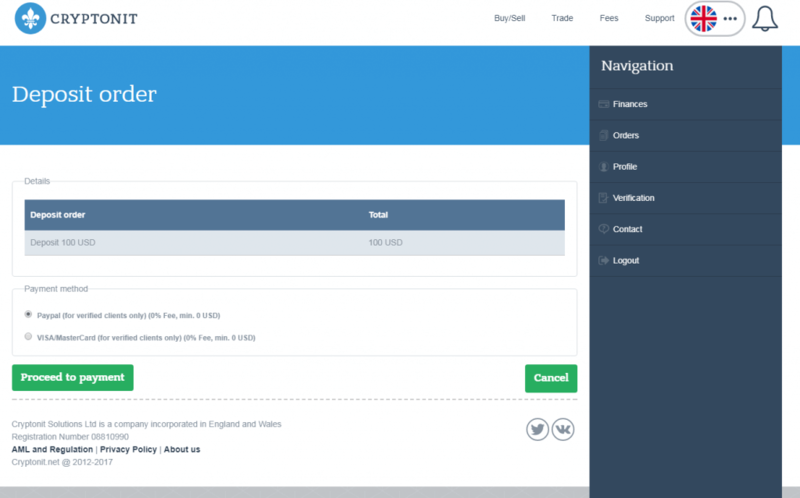 Based in the UK, Cryptonit offers PayPal purchase option for a fee of 13.5% while withdrawal of funds back to your PayPal account would cost you 4.9%. No matter what purchase method you would use in this platform, full verification is required (ID, proof of address, email, phone and PayPal account). Due to the large fund withdrawal options, the services of this exchange are available globally. unlimited purchase of bitcoins after verification. 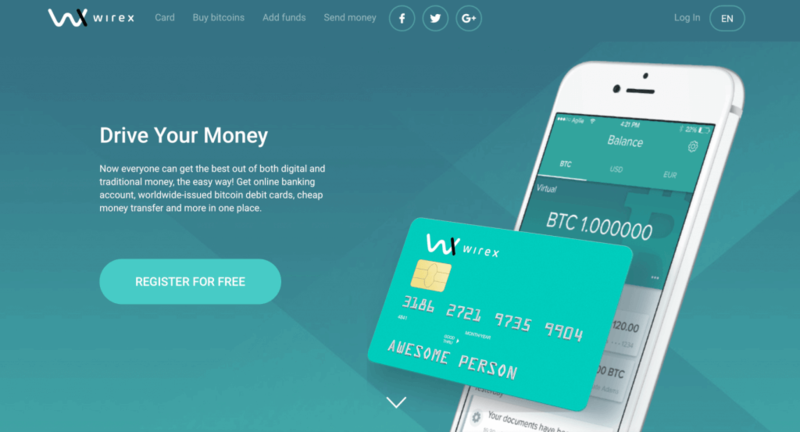 Wirex (formerly known as ECoin) offers PayPal as a purchase method within its platform. 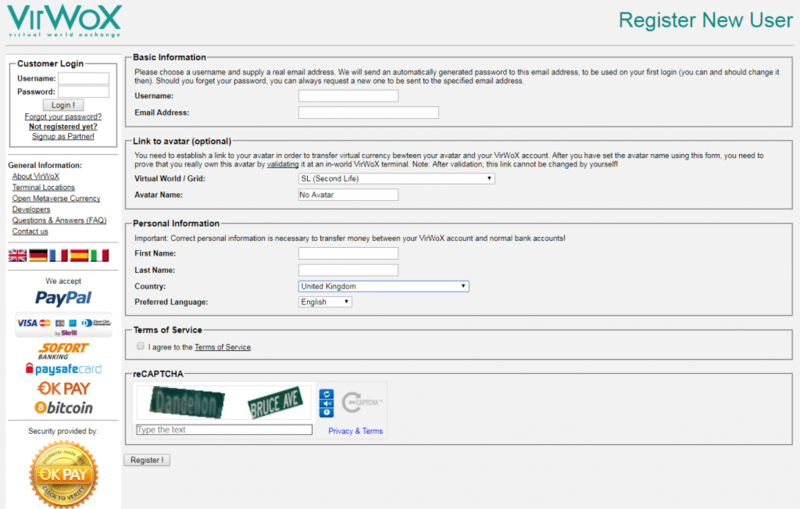 The purchase process starts with your registration of an account and email verification. 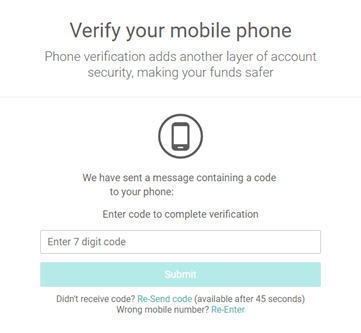 Once you confirmed, you would be asked to verify your phone through SMS code that you would receive shortly. 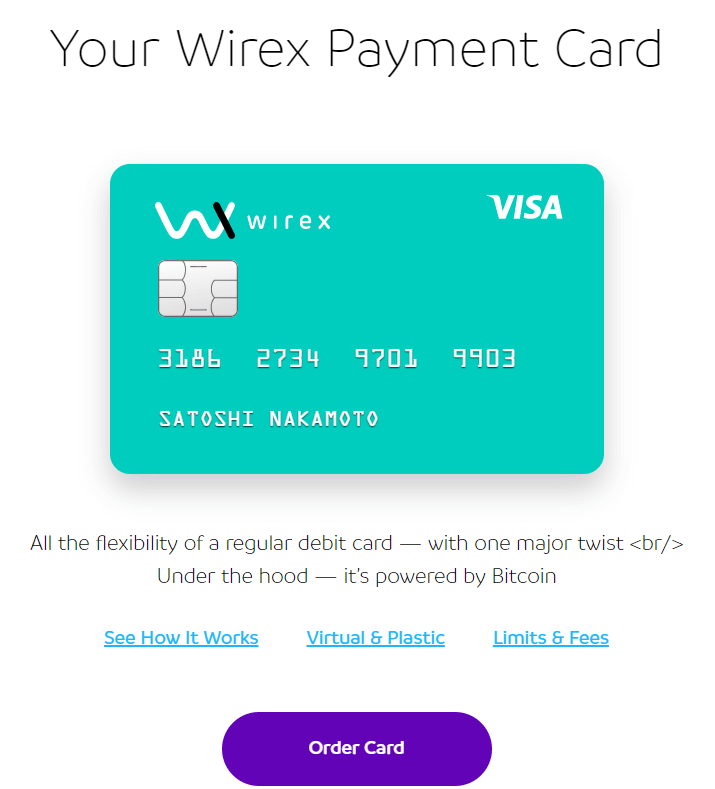 Now, in order to purchase bitcoins, you are required to order either physical or virtual Wirex debit card. 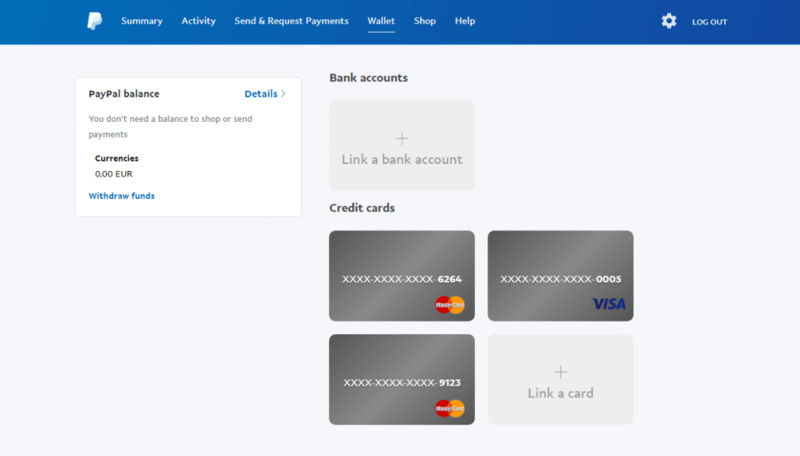 You should check the supported countries that can order the card and use PayPal to deposit funds as not all countries are available at the moment (the USA not supported for example). 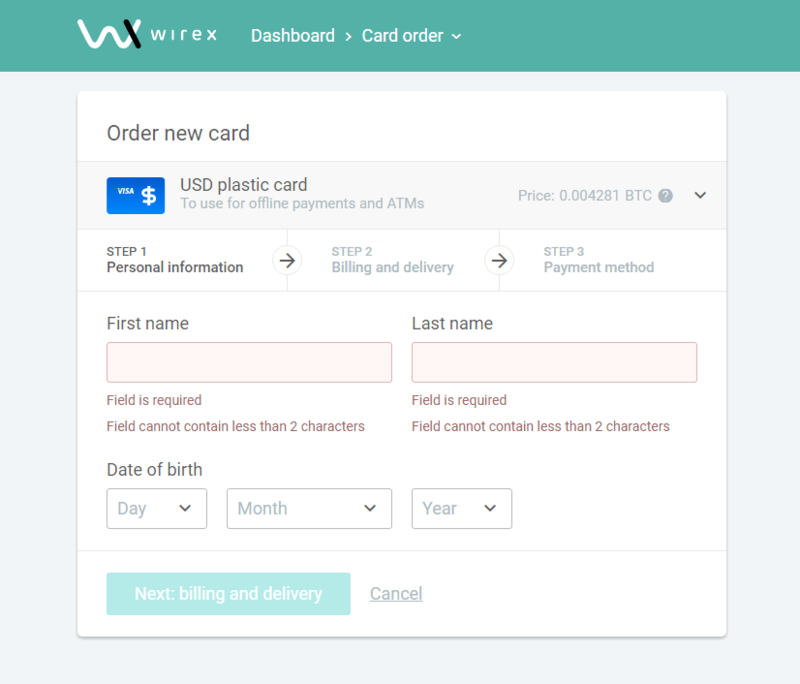 Getting a Wirex virtual debit card would cost you $3 while physical card costs $17. Standard delivery does not cost anything while trackable delivery would cost you $10. In any case, you would need to wait for approximately 3 weeks (depending on your location) to receive the physical card while the virtual debit card is instantaneously available but less secure. To start the process, navigate to the “Order cards” section of your dashboard page and click the card of your choice. Fill out the personal details requested and proceed to the next step. 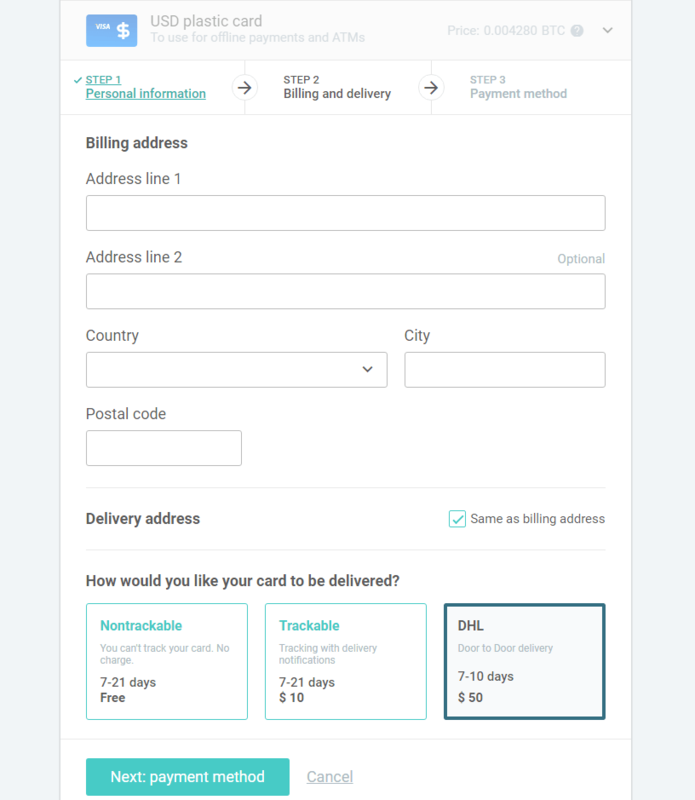 In next step, enter your billing address as the card will reach you there and chose the transportation option at the bottom of the page. Lastly, decide on the payment method that you wish to purchase the card and then click “See Summary”. 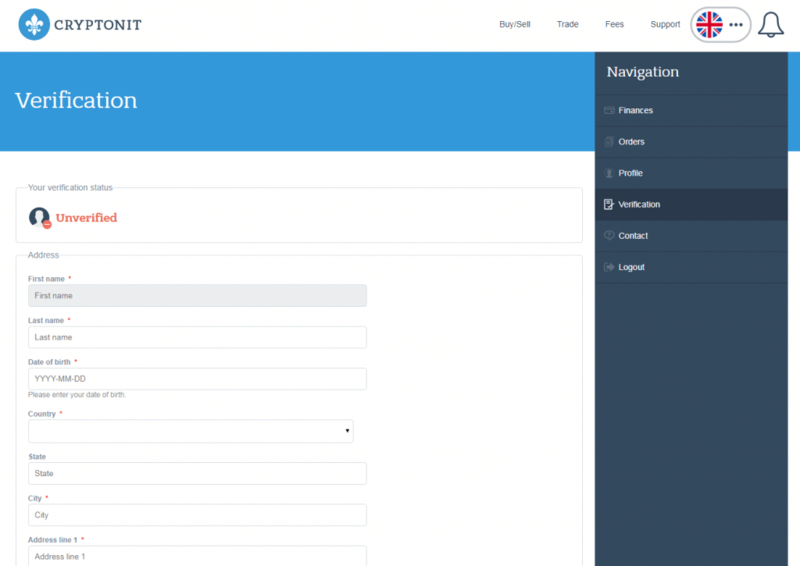 At the bottom of the page, a new section will open up for you that will list all details you have provided so far. Check the information out to make sure you gave all correct details and finalize the process by clicking “Confirm payment”. 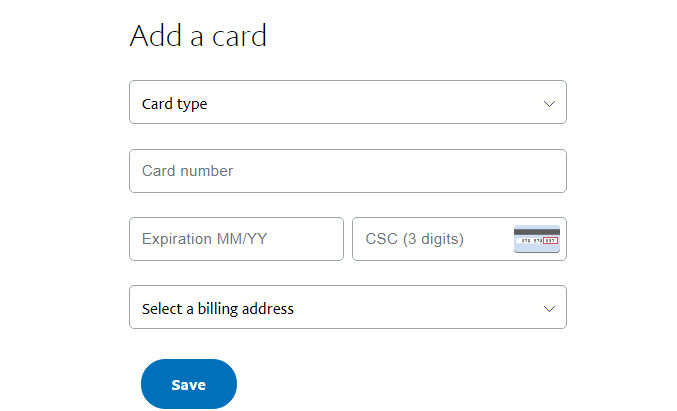 Once you are in possession of your card, no matter virtual or physical, you would need to connect your PayPal account with the card to be able to deposit funds. The first step would be to add the card to your PayPal account. You would need to deposit a small amount to your card from any bank as the PayPal will charge you a small amount of money as to verify your card (up to $3). 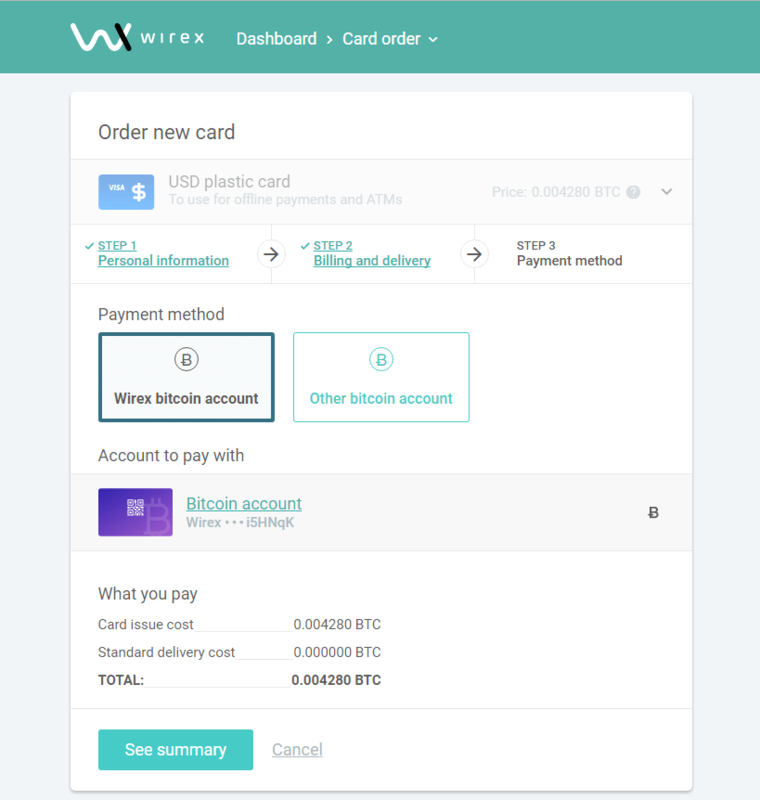 Once you have verified card in your PayPal account, click “Withdraw funds to your card” to transfer the money towards your Wirex card. The transfer period could take up to 7 days for funds to appear in your account. 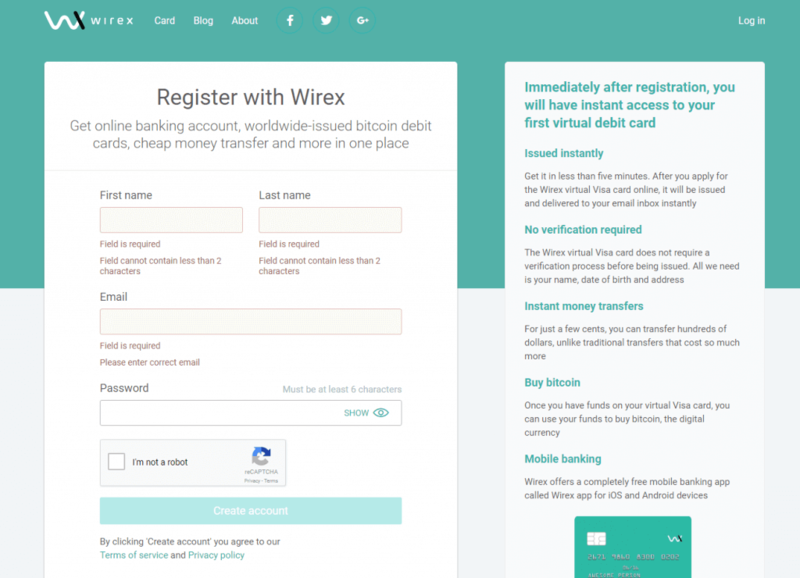 Check your online Wirex card balance within a week from withdrawal. Now you finally have funds transferred to your card and you can now start verification of your account to be able to purchase larger amounts of bitcoins. This can take some time as the verification check can last for a day so make sure you have all documents ready before you start the process. 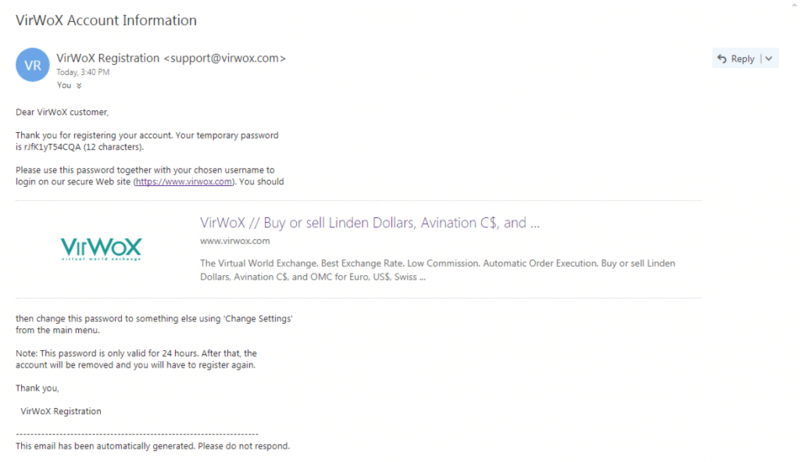 VirWox was one of the first exchanges that offered deposits with unverified PayPal. You do not need to have a Second Life account in order to be able to purchase bitcoins and neither do you have to verify any of your documents. You can register your account and start using the platform to purchase bitcoins. 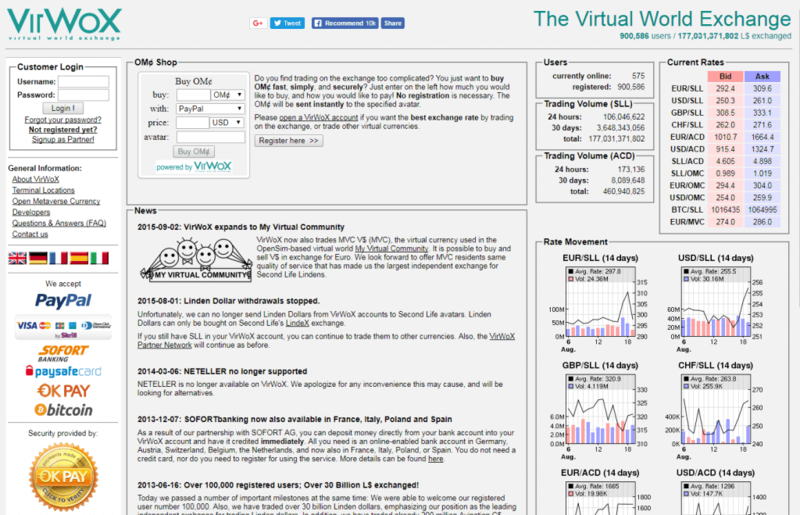 VirWox does offer privacy for traders but at a high price. You cannot directly buy BTC as the digital currency can be reached only through SLLs. You need to purchase SLLs and then convert them into bitcoins, generating double trading costs for both USD/SLL and SLL/BTC transactions. 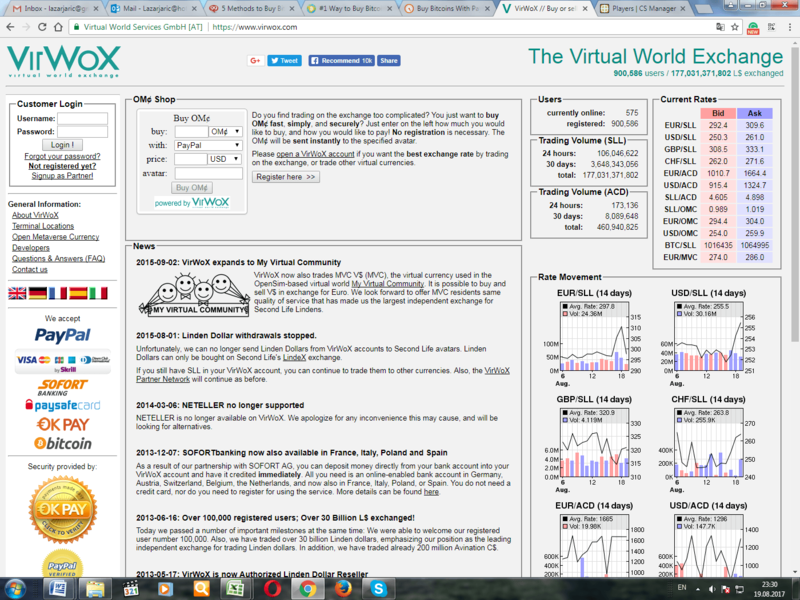 First things first, enter VirWox in Google search and locate the website of the exchange. On the right side of the page find and click the button “Not registered yet?” to start the registration process. Fill out your personal details. 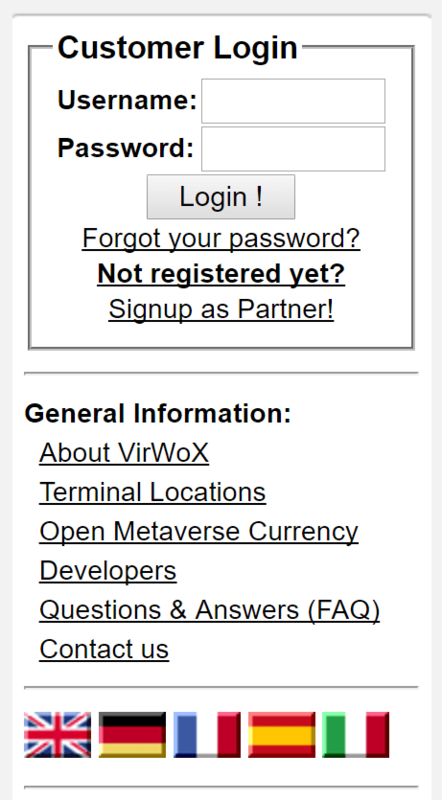 Note that you don’t have to link your Second Life account to successfully register in VirWox. You will receive an email that would notify you of your successful registration and you will be provided with a temporary password. 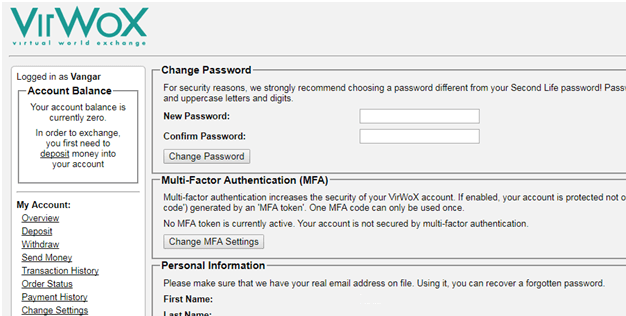 As soon as you log in, change the password as it is generated online and easy to break. Click on the “Change Settings” and put your own password. Once you have changed your password, click on the “Deposit” button and choose a PayPal as a method of deposit located in the middle of the deposit page. 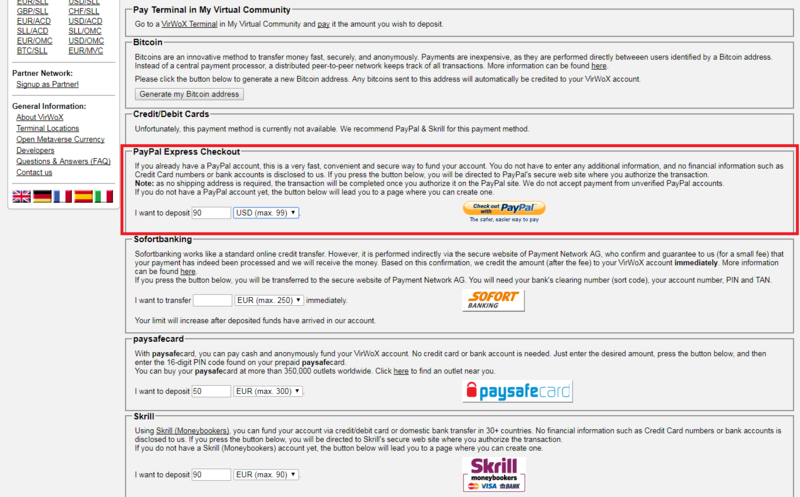 By clicking on the PayPal option, you would be directed to the sign in page where you would log into the account and allow the transfer from PayPal to VirWox. Make sure you have received your funds before you start trading with SLLs and bitcoins. If the funds are yet to arrive, wait for 5 more minutes and check again. If they have not arrived, immediately contact support to check the issue. 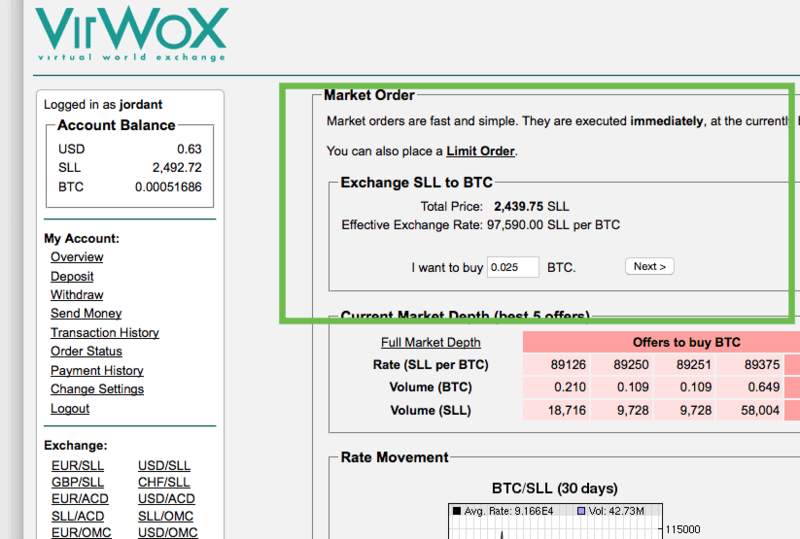 Once you see your funds in VirWox account, click on “USD/SLL” and enter the amount of SLLs you wish to purchase. Don’t forget to calculate a number of SLLs needed for bitcoin value you wish to purchase. Check your balance again and see if you have received SLLs. The transaction should have been carried out instantly thus within 5 minutes, expect to see SLL in your balance. 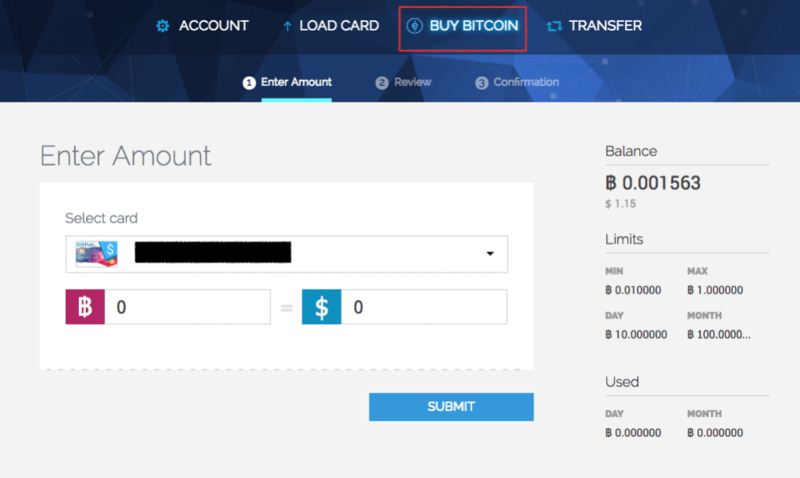 Now, simply repeat the process by clicking “SLL/BTC” and enter a number of bitcoins you wish to purchase. Now that you have BTC in your balance, click on the “Withdraw” button and enter your bitcoin address. If you are looking for a complete privacy while purchasing bitcoins, the VirWox is ideal for you. The process works but can be time-consuming and confusing for first-time buyers. Another negative point is the fee that you have to pay in order to get BTC, as each transaction carries a cost. 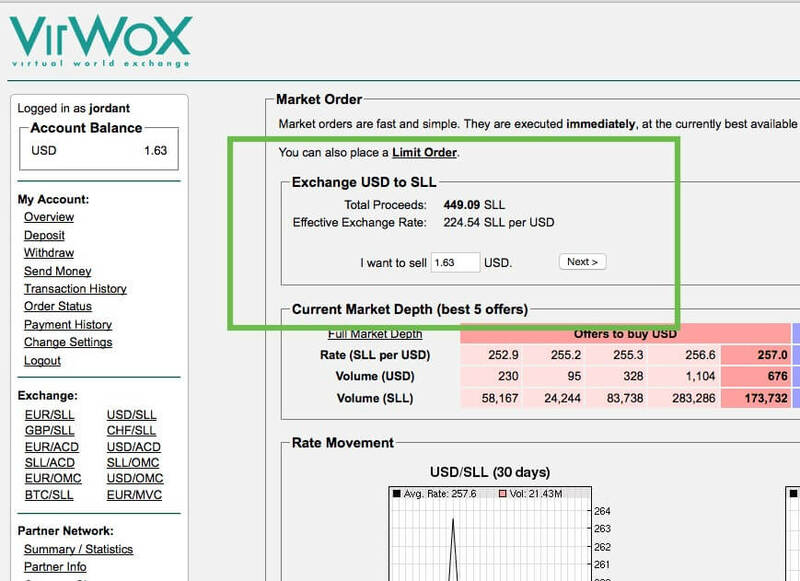 When you are depositing funds into VirWox, you are obliged to pay 0.35 EUR + 3.4% while USD/SLL and SLL/BTC transactions would cost 3% of the trade value each, leaving you with approx. 10% of the original value you wish to get. Apart from VirWox and Wirex, you can also purchase bitcoins through PayPal in P2P markets (like LocalBitcoins and Paxful) and other exchanges (for example Coinbase and Cryptonit). 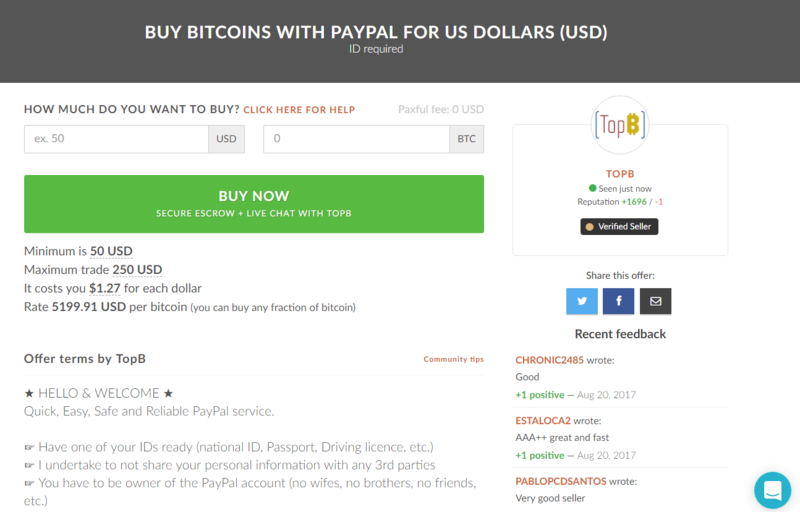 If you are looking for a way to purchase bitcoins through PayPal privately and cheaply then P2P platform, like LocalBitcoins, would be a choice for you. With only 1% transaction fee and abundant BTC offer in the market, LocalBitcoins stands as one of the most popular choices when it comes to PayPal purchases. As the first step after registration, enter search parameters that include country, currency, and payment method (PayPal) that suit you. Make sure you choose a reputable seller with positive reviews and lowest bitcoin price, so you don’t get scammed by an unknown trader. Some of the sellers might require you to hand over your scanned ID as a measure of security, so read terms of trade carefully before you start the trade. Once you are ready, click “Send trade request”. As the trader agrees on all aspects of trade, his BTC should be transferred to an escrow (you should definitely request for that service) and await your account-to-account transfer of funds. As you provide evidence of the payment, the escrow service would release bitcoins to your account. 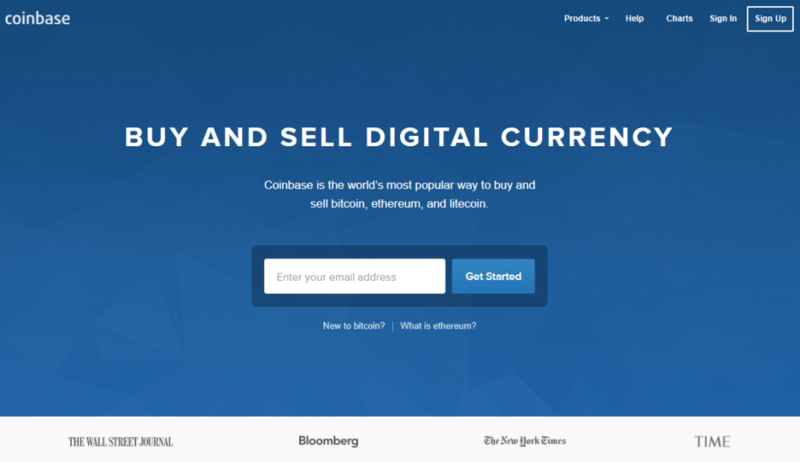 If you wish to trade BTC through Coinbase, make sure your location is serviced at Coinbase before registration. If eligible, register an account and verify your email as a start. 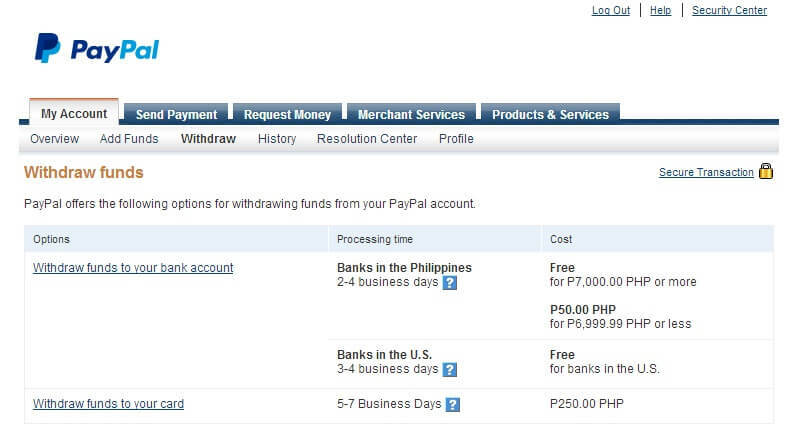 Now add a PayPal account to your account settings section and verify your PayPal account. The Coinbase will ask for your permission to use your PayPal information and make a small charge for verification purposes. Once you have verified the account, go to the “Buy/Sell” section of the dashboard page and fill out the purchase form. 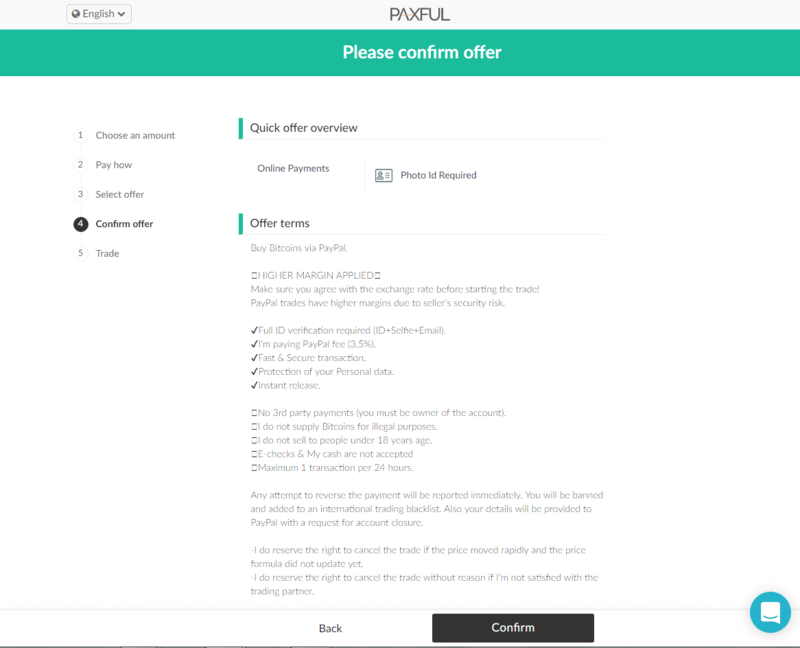 At the Paxful homepage, click PayPal option as a method of BTC purchase and select a number of bitcoins you wish to purchase. You will be directed to the terms of trade which you should go over in detail. Once ready, click on the button “BUY NOW” and start the chat with a trader. The escrow service is available while you are transferring funds from your PayPal balance, so always use it. 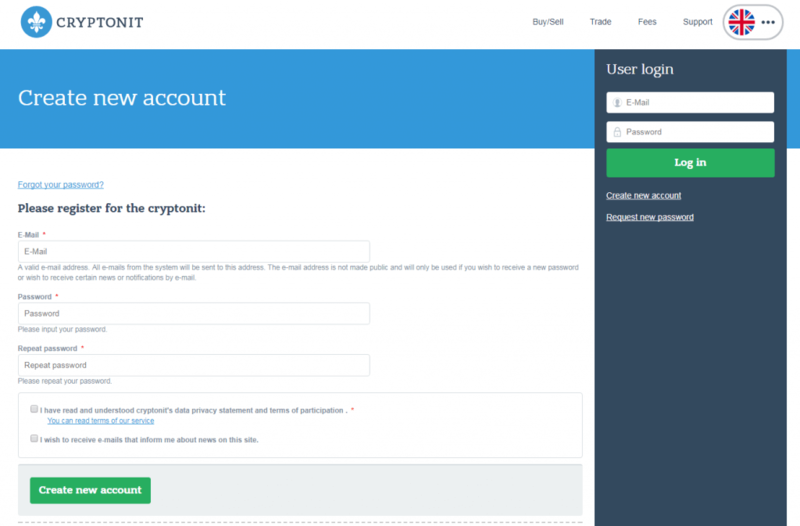 The first step that you should take is to register your account and verify your email with Cryptonit. 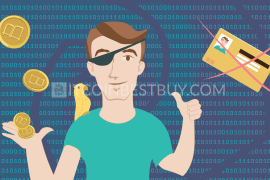 In order to purchase bitcoins, you are required to verify your ID and your address as well. You are also to accept a Skype call from the support service as to verify your identity. The verification process takes up to 12 hours to finalize. Once verified, you can deposit the funds through “Finances” section. 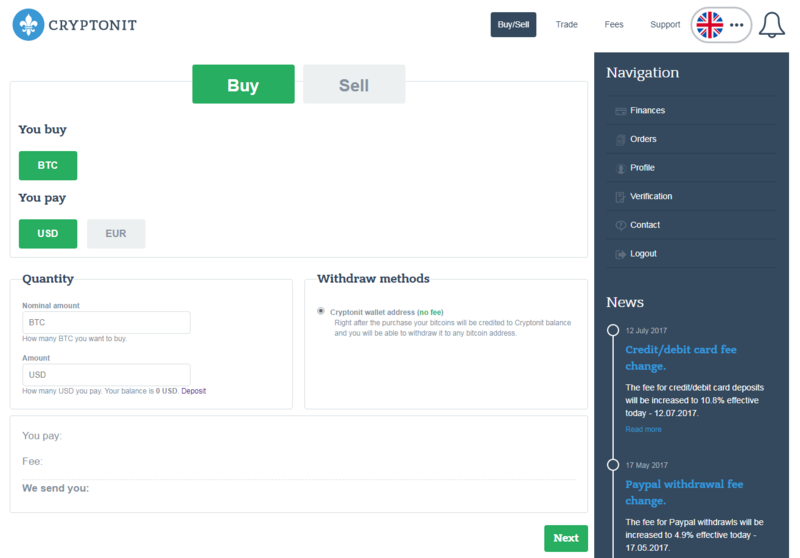 Then, simply enter the “Buy/Sell” page and enter the amount you wish to trade and click “Next” where you would be directed to a confirmation page and to an end of the trade process. The best way for you depends on your location, payment preference and the speed of service you are looking for. The VirWox might be a good choice if you are looking for a complete privacy but does come with a price. P2P platforms offer cheap PayPal purchases but at the cost of your fund’s security. Exchanges, on the other hand, are a good option for those that don’t mind verification of ID and address. Is VirWox the Best Way to Buy BTC with PayPal? As the bitcoin grows its infrastructure, other providers started accepting PayPal deposits so check them out! 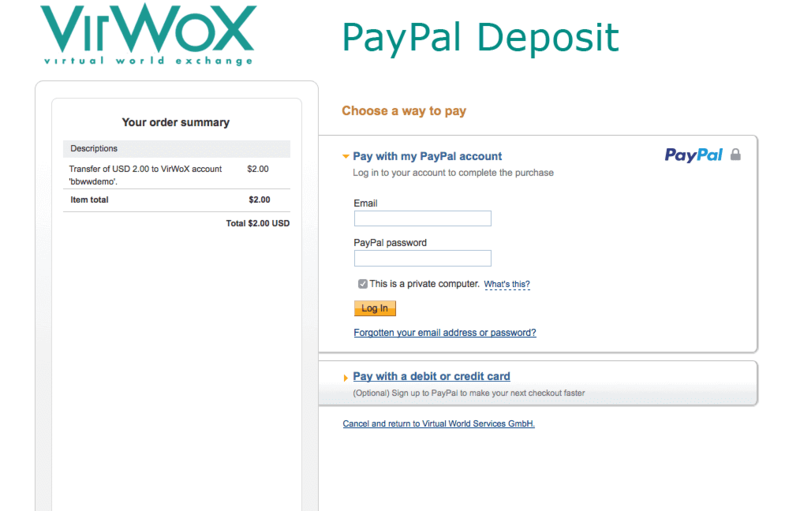 VirWox is not the only one accepting deposits from PayPal and they are certainly the cheapest ones out there. 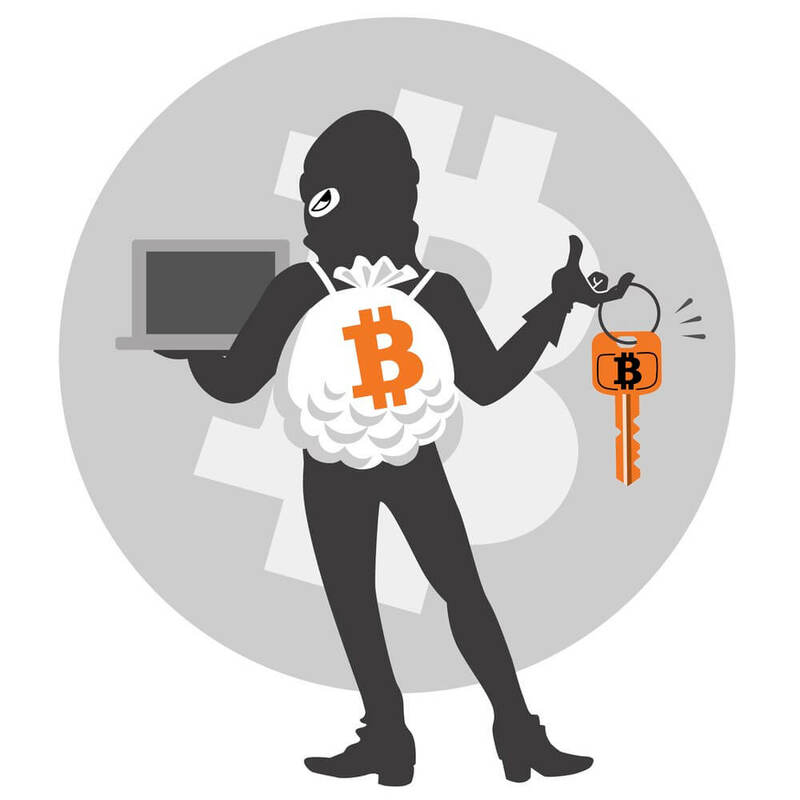 You can purchase BTC anonymously from VirWox and from P2P platforms. Do take into account the contras such as complex purchase procedure and high fees at VirWox and potential of scams at P2P marketplaces. Currently, it is not possible to withdraw your bitcoins to a PayPal account since the company does not support the wallet services. 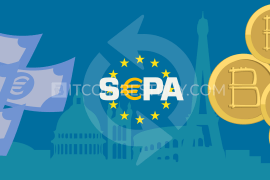 You can sell the bitcoins to other traders and withdraw funds to PayPal in an exchange (through withdrawal) and in P2P markets (traders pay you through account-to-account transfers in PayPal). Unfortunately, we have been witnesses to various hacking incidents in the past, with largest and most popular exchanges having their security breach. 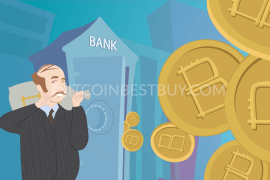 In those instances, many traders have lost both funds and bitcoins, so we would advise you to withdraw your BTCs to your wallet addresses as to secure them from cyber theft. In all of the exchanges mentioned in this article, you can exchange BTC for fiat currencies or sell them to other traders in P2P platforms. The funds can either be directly transferred to your PayPal account (P2P marketplace) or you can withdraw them from the exchange once the transaction has been completed. 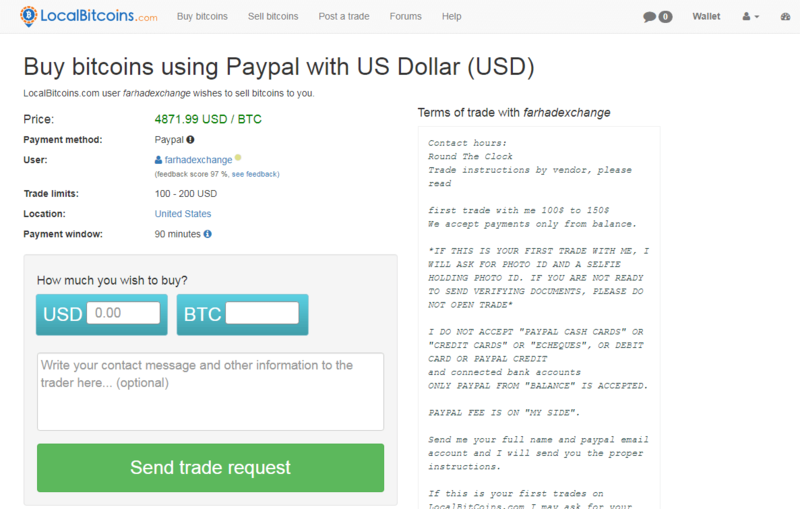 Although there have been rumors about PayPal allowing its traders to accept BTC through their merchant programs, the company has not yet allowed such a trade to happen. 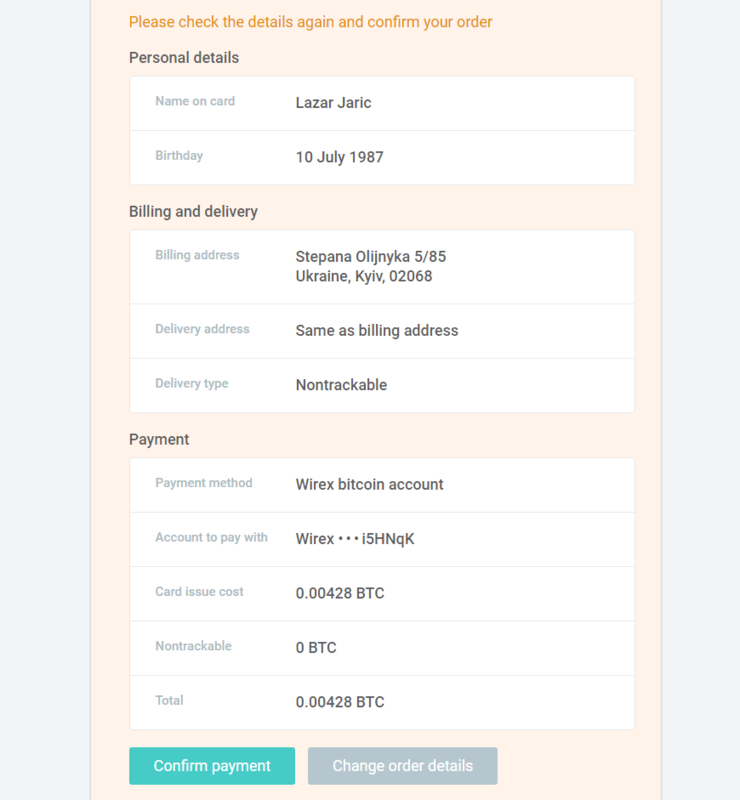 So, currently, you would be unable to accept bitcoins for your services via PayPal merchant tools. What’s more, PayPal has a policy of not accepting any sort of currency exchange activities to be undertaken within their system and BTC can likely fall under the category. Thus, make sure you do not mention BTC in your trading descriptions as to avoid closure of your PayPal account. As mentioned before, PayPal does not support any cryptocurrencies, bitcoin included, as of yet. With no wallet address, you would be unable to withdraw the BTCs to your PayPal account. You should exert an effort in researching and analyzing every exchange that offers you their bitcoins for sale. 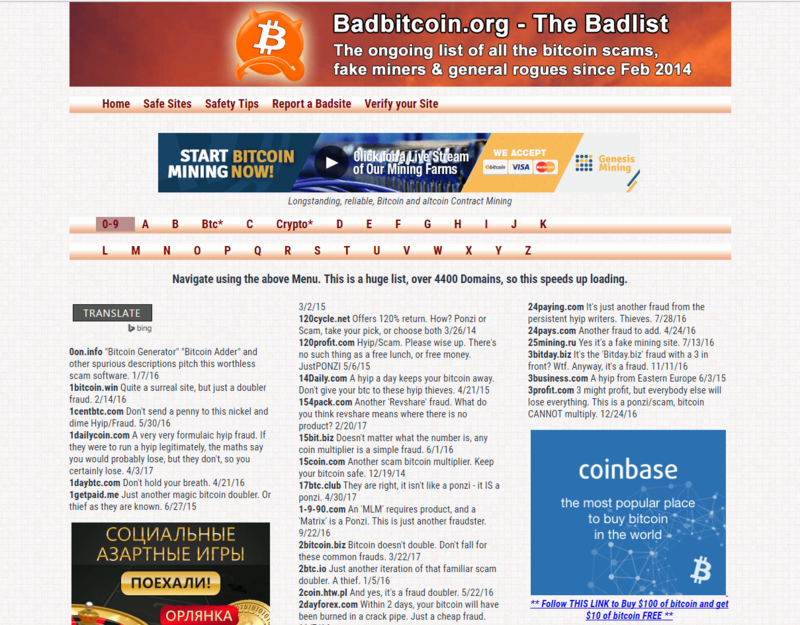 Many of them have turned out to be scam sites in the past, taking your money and not delivering BTC to you. The bitcoin community has built large databases of scam exchanges on the internet so make sure you check them out and see if the exchange you found has not been listed on those websites. There are many types of wallet addresses out there, both online and physical. You can now even find paper wallets as well that you can keep it with yourself at all times. We would still encourage you to purchase hardware wallets as they provide the highest level of security, while storage can be done both online and offline. Right now, you can choose between TREZOR, Ledger Nano S, and KeepKey hardware wallets, which differ in terms of the look, performances and price. 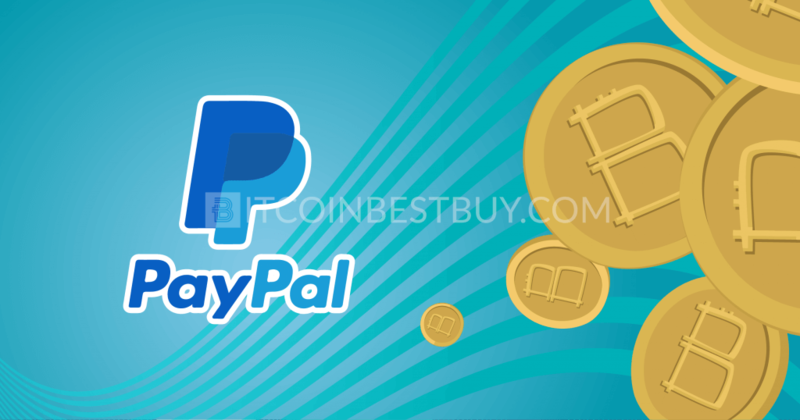 Should you have any question regarding PayPal that has not been covered by this guide, feel free to contact us at BitcoinBestBuy.